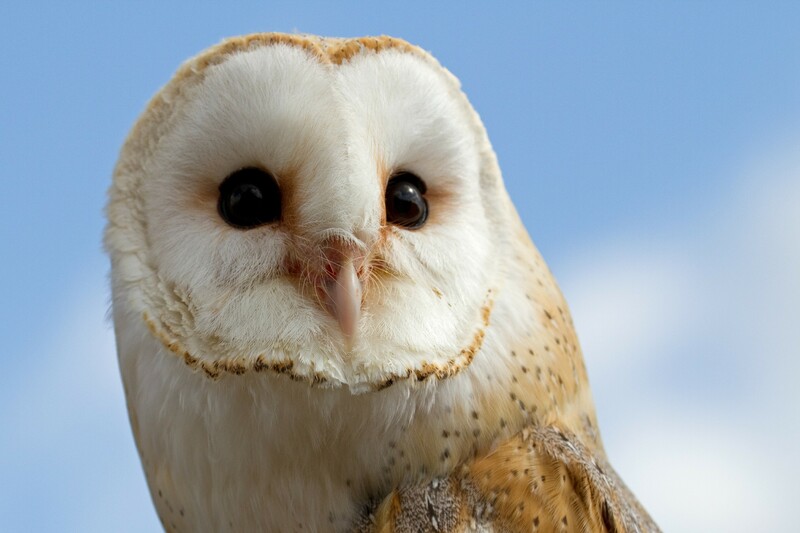 Barn Owls are the most widely distributed of all owl species. Photo: Female by Tony Hisgett). Our political leaders can protect nature or they can let it continue deteriorating. More than ever, it is critical that we use our votes to choose leaders willing to accept responsibility for nature. In this post, I’ve included a few important political resources and a short discussion of leadership. In last night’s address to the U. S. congress, President Donald Trump did not mention nature conservation. He did not mention global warming, plant and animal extinctions, or general environmental deterioration. The sad truth is that his disregard of these issues is typical of most of our national and local elected leaders. Like you, I’ve listened to several discussions of Trump’s speech. My favorite for its insight and value was by Bernie Sanders. Our leaders tend to focus on issues they proclaim as most important to us citizens. They talk about jobs, taxes, health, education, and security, and they sometimes mention personal liberty and foreign affairs. Of course, these are important issues. However, I believe our leaders intentionally avoid mentioning personal honor, social responsibility, and nature conservation because these topics conflict with their personal goals. I think they fear that discussions that might reveal their personal goals would be both embarrassing and lethal for their political careers. Scientists studying climatology, soils, forests, and wildlife, warn that we humans have created an emergency that we must treat with the same urgency that we would treat an attack by a foreign power. Why would the president, his advisors, and our elected leadership ignore such a warning? First, I guess that our leaders have not studied natural sciences, and second, I think that the opportunity to use their positions for financial gain quickly overpowers the altruism they might have felt when they decided to enter politics. Some of our leaders, Sanders is a good example, do seek scientific explanations and advice and they do resist the financial temptations. Most do neither. Our elected representatives receive financial incentives directly and indirectly from for-profit businesses that are locked into a profits-first philosophy. A small proportion of our elected leaders retain their ideals and attempt to meet the responsibilities of government for the people. Their public comments and their votes on legislation clearly show their concern for long-term quality of the natural environment upon which our survival depends. This post helps insure that we have ready access to our elected leaders’ record on environmental issues. The reason is simple: We must not vote for leaders that have low scores on environmental issues. For those leaders, we must seek replacements that promise to include nature in their legislative concerns. 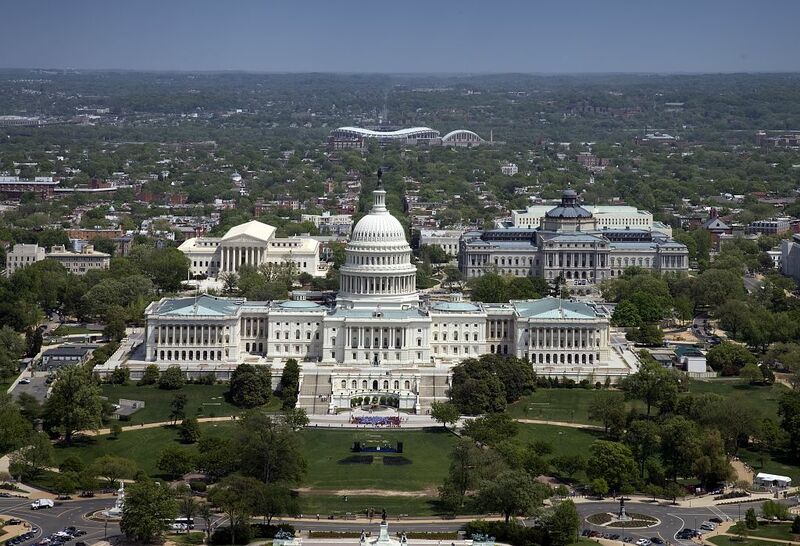 United States Capitol Building, Washington, D.C. Aerial. The United States Capitol is the meeting place of the United States Congress, the legislature of the Federal government of the United States. Located in Washington, D.C., it sits atop Capitol Hill at the eastern end of the National Mall. It is flanked by the Supreme Court (left) and Library of Congress (right). Photo by Carol M. Highsmith. The League of Conservation Voters website reports how our Senators and Representatives in Washington vote on legislation involving nature. The website presents voting records as scores for each legislators ‘score’ (the percentage of votes for nature legislation). You can sort the ‘All Member of Congress Scores’ table by Senate, House, name, party, district, year score, and lifetime score. There are clear explanations of how nature legislation is chosen and how legislator’s scores are calculated. Should you join one of the current political movements? There are political movements that intend to replace our congressional leaders with more altruistic and responsible representatives. Why not join one of them? I looked at three of the leading movements (Justice Democrats, Our Revolution, and Brand New Congress), and concluded that none of them shows much concern for nature. The Justice Democrats’ platform includes renewable energy as a source of great economic benefit, but it mentions none of the other nature-conservation issues. The Our Revolution platform includes more on climate change, but none of the other issues. The Brand New Congress platform mentions renewable energy as the means for “creating tens of millions of good high-tech jobs and saving people many trillions of dollars – because energy from the wind and sun is much cheaper in the long run.” The platform includes no other nature conservation issues. I made a brief suggestion to the Justice Democrats for a more nature-inclusive platform statement. The email response assured me that top minds were working on the platform and that I need not be concerned. It’s been a month now, however, and the platform has not changed. If you watch Bernie Sanders’ video above, you will hear some strong language about climate change. We need to replace many of our politicians with new leaders that have Sanders’ concern for climate change as well as concerns for dwindling wildlife and biodiversity, eroding soils, acidifying oceans, and disappearing forests. It won’t be easy. We have to watch for and promote candidates that understand nature conservation and that are willing to include it in their political goals. Please let me know when you find a promising candidate. We can recommend them to the existing movements, and we can support their efforts. If we can’t, we will see continuation of the human-caused mass extinction of life on Earth. This entry was posted in Activism, Nature Conservation, Politics and tagged justice-democrats, justus, league-of-conservation-voters, our-revolution by GarryRogers. Bookmark the permalink.